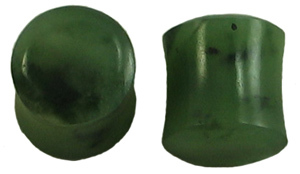 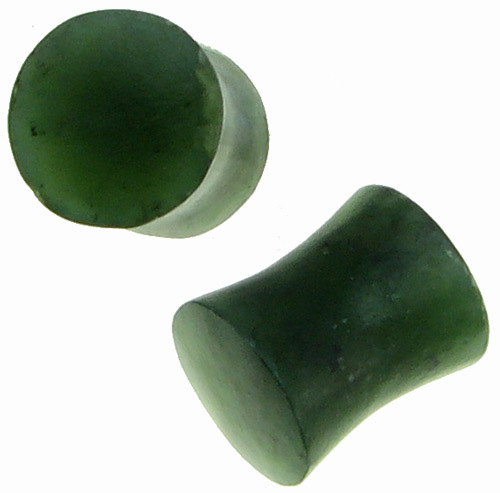 Siberian jade solid stone saddle plugs look great in stretched piercings. 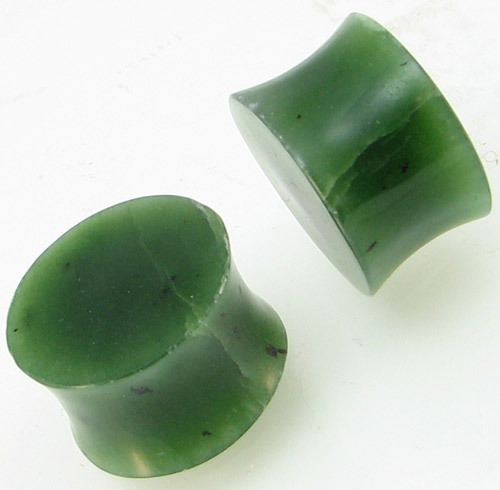 These beautiful double flared gauge plug earrings were hand carved from natural green jade. 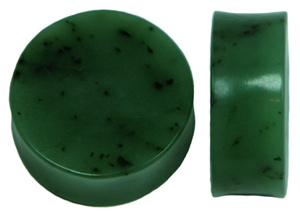 7/16 inch (+$10.00) 3/4 inch (+$50.00) 1-1/2 inch (+$150.00) Select your gauge size and click "Add to Cart".